Quite accidentally, I walked from Northeastern to Cambridge last friday afternoon. The weather was so gorgeous me and a friend jumped on a chance to explore Boston by foot, and before we knew it an hour had turned into three and we had walked 5.5 miles. 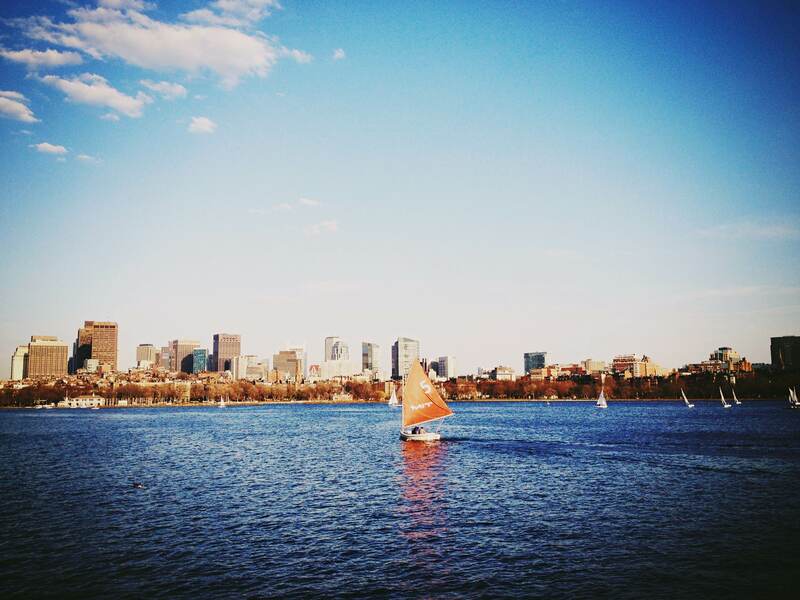 We took the path along the Charles, watching the dizzying numbers of sailboats and rowing teams enjoy the sudden spring weather. Eventually we looped back towards Harvard square, arriving famished and exhausted. Even more impressed than with our sudden athletic inclination, I was pleasantly surprised to find I have started to get my sense of direction in this city. ← Vienna in Black and White.